With only a few weeks to go, UIA Australia is gearing up for another impressive campaign season. A UIA spokesperson told J-Wire: “We pride ourselves on bringing the community the most relevant and diverse speakers. Our General Division events being held in late February 2019 in Sydney, Melbourne and Perth will be headlined by David Cameron – Former Prime Minister of the United Kingdom (2010-2016). Regarded a true Zionist and friend of Israel, Cameron was seen as the most proactive British Prime Minister in his support for Israel. His unwavering commitment translated into policy change, developing a foreign policy addressing the new challenges of the Arab Spring. This ensured Britain’s strong stance on globally combatting ISIS. Cameron’s support for Israel was also demonstrated through his strong view on the BDS campaign and Israel’s right to defend herself. He believed in modern compassionate conservatism, and his leadership was underpinned by social justice and social action, increasing the rights of ethnic minorities and women. 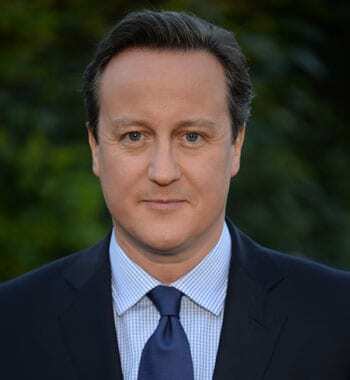 Rising to power at a time of economic crisis, Cameron significantly transformed the British economy. Deficit and unemployment rates reduced, with Britain becoming the fastest growing major advanced economy in the world. Joining Cameron is UIA success story Nataly Zagaya. Born in Israel to Ethiopian parents who made Aliyah as part of Operation Moses in 1984, Nataly participated in UIA’s flagship project Net@. By empowering youth from Israel’s peripheries, this reputable program turns high risk into hi-tech, thus enabling her to join elite units in the IDF. Nataly represents one of the thousands of youth from disadvantaged populations living in the geographic and social periphery that Keren Hayesod – UIA, together with you as our partners, support. Through technological education, personal development and social activism, Net@ creates new opportunities for disadvantaged children in years 5 to 12 and increases prospects for social mobility. The program currently operates in 21 locations serving thousands of children annually. Our 2019 Campaign will once again focus on support for the most vulnerable people on the periphery in Israel. Not only will it identify the different programs and avenues in which we provide support, but also celebrate the vibrancy and layers of the Israeli melting pot and how UIA projects are tapping into modern and new and contemporary areas, whilst still retaining our core values and dedication to our mission. Essentially, our projects return to the fundamental premise of empowering the People of Israel – not only continuing to bring them to Israel, but provide them with a multitude of programs and tools for a brighter future. Events will sell out and seating is limited. I think David Cameron, who initiated the Brexit referendum, will be pleased to be away from the UK as the Brexit implementations are finalise.